Custom snooker is now probably the largest importer and wholesaler in the uk with a storage facility of 15,000 sq feet .t . 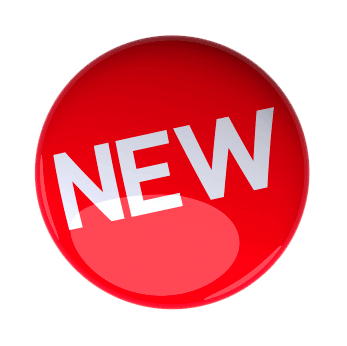 Unit 2 Bewicke Road Industrial Estate, Willington Quay, Wallsend, Tyne And Wear NE28 6LX. At Custom Snooker, we pride ourselves on being the UK’s leading supplier of snooker tables, pool tables, snooker cues and accessories. Whether you’re a beginner at the game of snooker or pool, an old hand, or even compete locally or nationally, we can assist in finding a snooker related product that suits you down to the ground. 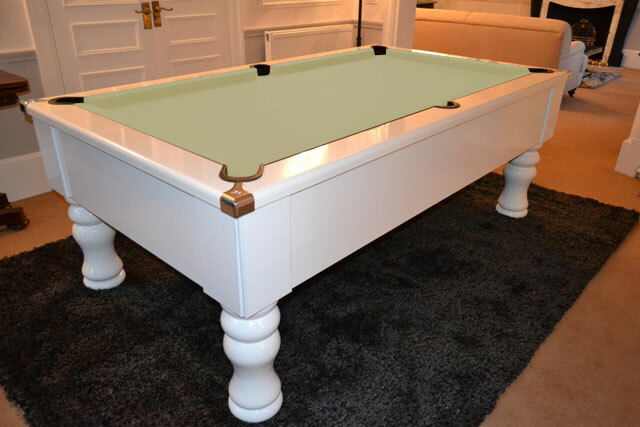 We have an impeccable range of hand crafted snooker tables, ranging in size from 6” upwards. Each one of our snooker tables is available in a range of materials including Mahogany, Willow or Oak, and comes complete with snooker accessories. What’s more, our own craftsmen are able to install and level your snooker table. Hand built with exacting precision by UK manufacturer Geordie Pool, our pool tables are the pool tables of choice for the World Black Ball tournament. Available in American or UK styles, you can choose from a range of pool table finishes as well as the colour of your cloth. 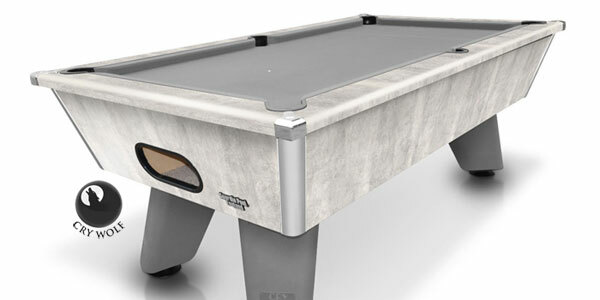 All of our pool tables come with free delivery within the United Kingdom. For an authentic competition atmosphere, our snooker table lights can help transform your snooker games room into The Crucible. There is a wide range of choice of snooker table lights, from our entry level light rails to our deluxe brass and Tiffany glass, as well as complementing snooker cue stands. Our pool table lights are ideal if you want to recreate the ambience of your local pool hall at home. We offer lots of models, from no-fuss pool table lights to elegant glass deluxe light rails with a highly polished finish. Whatever you choose, you are guaranteed to add atmosphere to your game of pool. The quality of our coin operated pool tables is second to none. Crafted by Geordie Pool, each pool table is steady and secure, thanks to their hardwood legs and die cast plated corners. Pool table cloth colours include green and red in addition to classic blue, but other colours are available at your request. Accessories include top quality red/yellow or spot/stripe balls, pool cues, a triangle, tips, chalk and a pool table brush. 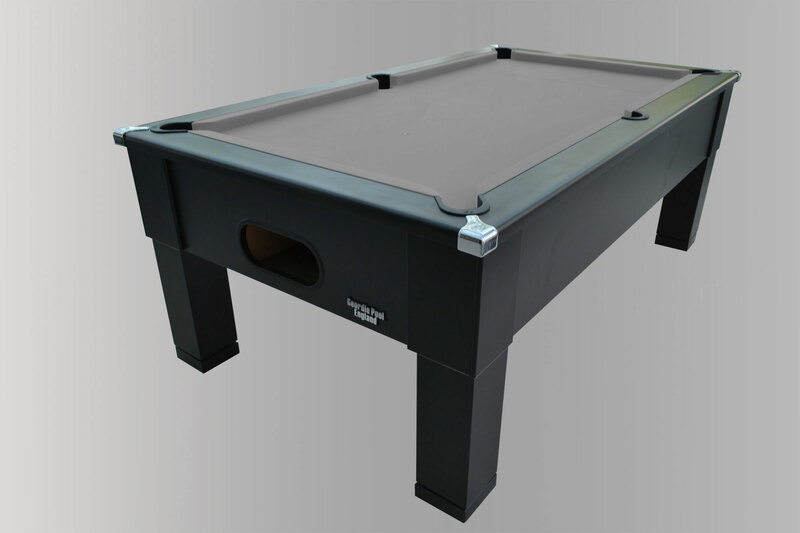 Our pub style pool tables are built to stand up to game after game of pool. With a choice of six different pool table cloths available, as well as traditional UK red and yellow balls or American spots and stripes, they not only look the part but act it too. Solid wooden legs, more than 6 inches in diameter, mean that our pool tables are rock steady. No snooker table is complete without one of our snooker cues. Browse our selection of snooker cues – a range of weights and tip sizes means that you are sure to find a snooker cue to suit your playing style. If you’re serious about your game, we can help you improve it with our professional selection of snooker cues. If you only play at home, your local snooker hall or travel far and wide to snooker competitions, you need to protect your investment with a snooker cue case. 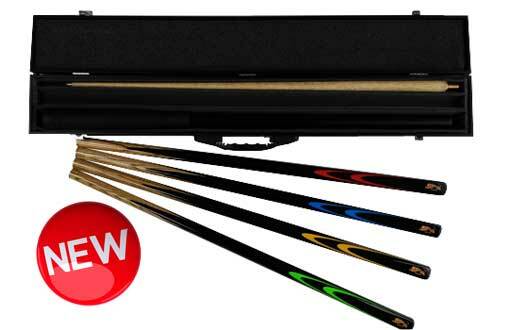 Our snooker cue cases come in modern and traditional designs, and a range of materials including PVC and alloy. You may wish to keep things low key with a plain black snooker cue case, or stand out from the crowd with a cool or unusual design. 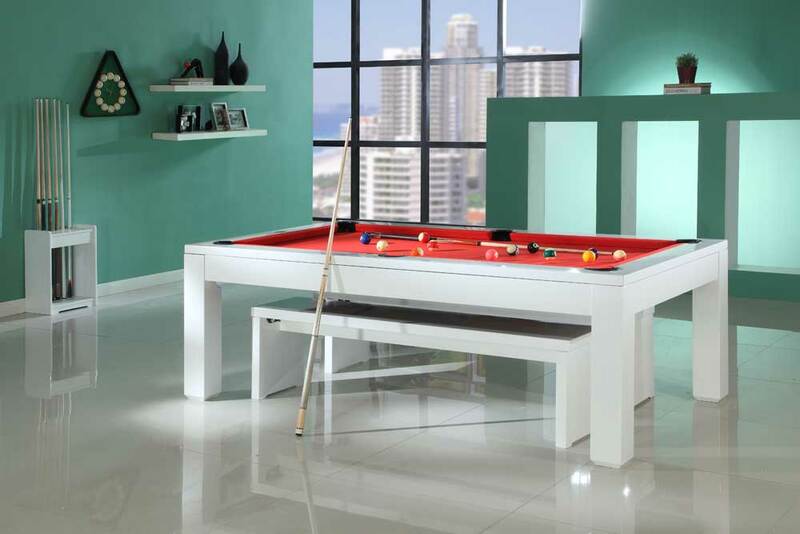 If you have chosen the best pool table, why not choose the best pool cues to complement it? Featuring warp resistant Canadian Maple shafts, beguiling inlayed patterns, linen wraps finished by hand and 11mm Le Pro tips, your opponents will never be able to blame the pool cues for losing to you.